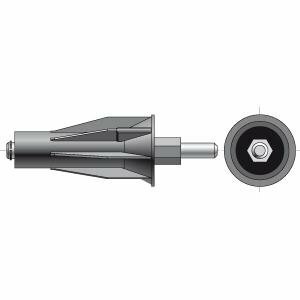 Amazing Drapery Hardware Our eCRATER Store About Us Contact Us Add to Favorite Sellers Universal End Cap - Collapsible 10mm Shaft (for 2" (47mm)Round Tube) MPN#9420800 $15.99 Requires notched 2" tube and 2" drive (Cat. #6061351 ) held in place with retaining clip included. Black composite. Maximum motor torque: with awning - 50 Nm, with FTS - 25 Nm. Maximum system load - 40kg (88 lbs). Adaptable to other tube profiles using LT50 motor crowns and drives. SOMFY recommends using these end caps in conjunction with the LT drive. Find this and much more, at our eCRATER store, Amazing Drapery Hardware. We ship internationally.Select one of our international shipping options to take advantage of our discounted international shipping rates . Buyer pays any import fees- tax/tarrif/duty.We also participate In the eCRATER . WORRIED THESE ARE RIGHT FOR YOU? NO PROBLEM!We accept returns on all our parts within 30 days for a full refund.ANDWe are also here to help you through your ordering process. AND We are still here to help with any questions you may have about your installation once you receive your parts and get to work.QUESTIONS??? EMAIL US We have years of window treatment experience, WE CAN HELP! On Mar-15-16 at 11:12:51 PDT, seller added the following information:On Mar-15-16 at 14:24:09 PDT, seller added the following information:. LT RTS CMO Motor Cable - 12 ft.